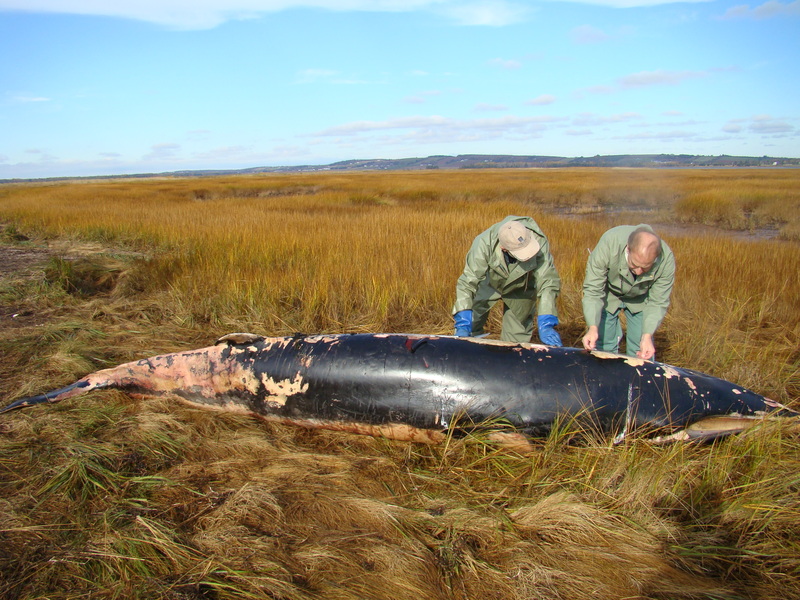 A young minke whale that may have been separated from its group was found dead on the south shore of Prince Edward Island. The carcass of this whale was used to confirm the landmarks on the head of this particular species that would allow the use of high-power ammunition to euthanize an animal with a direct shot to the brain if it were found alive but moribund. Photo 1: Dr. Pierre-Yves Daoust (CWHC) and Dr. Art Ortenburger (AVC) determine landmarks on the minke whale to aid in humane euthanasia in the event of future whales found in distress. 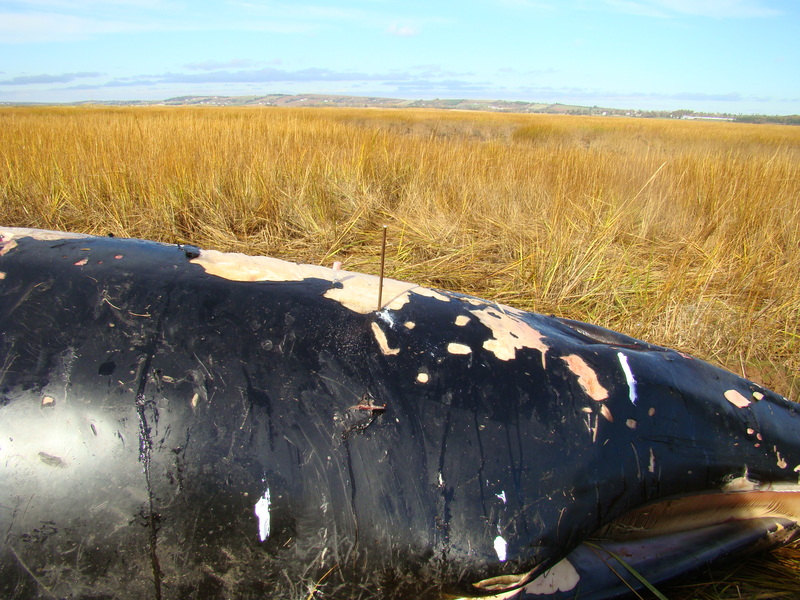 Photo 2: Probe inserted into top of the head of the dead whale where ammunition entered.